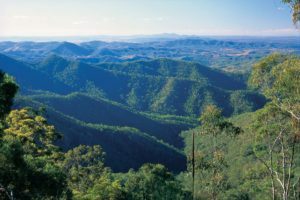 With so many well-stocked rivers, creeks and lakes, fishing enthusiasts come from all over Queensland for the great fishing on offer in these parts. 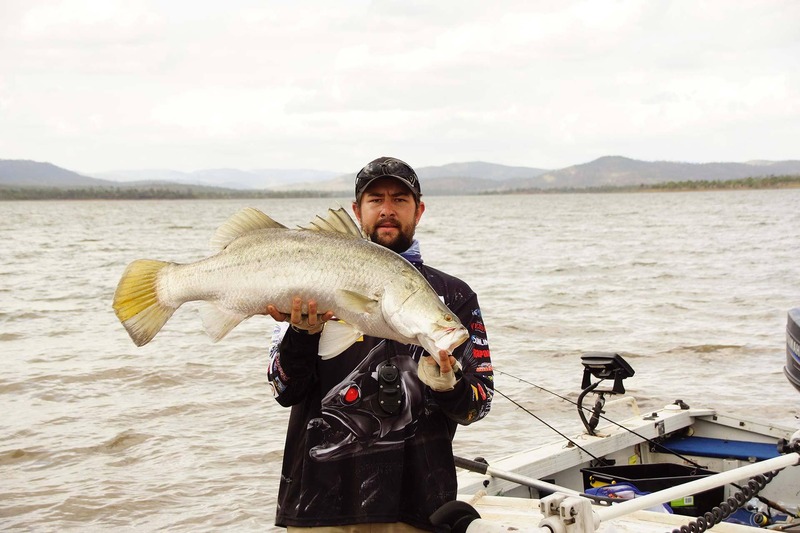 Fishing competitions are a regular feature of the region and families love to get amongst the action at the best fishing and camping adventures going around. The comps raise important funds to buy fingerlings to re-stock fish reserves. If you fancy your chances at snagging a winner, take your pick of the events or take the time to do the lot. 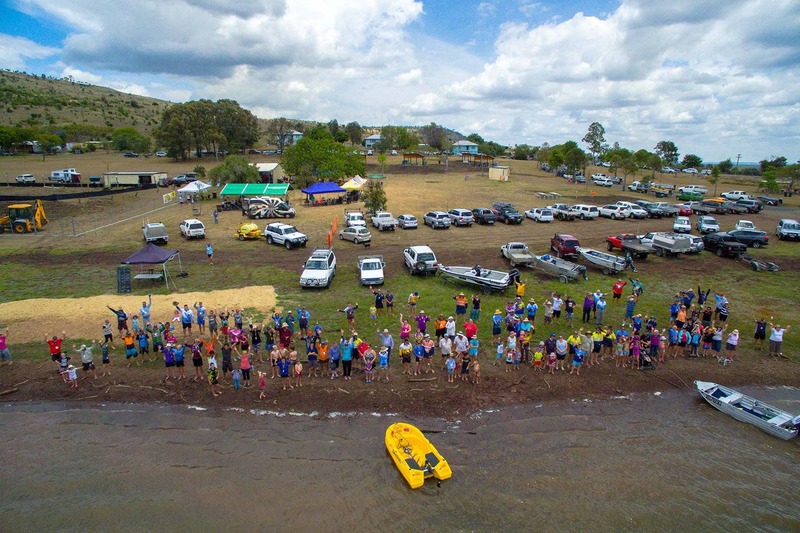 Now in its 16th year and touted as one of Queensland’s top inland fishing competitions, the Saratoga Classic falls on the second weekend in September. Attracting 300 plus participants, aged from four years and up, and with rich prizes up for grabs, there’s no shortage of willing challengers. It’s all friendly rivalry though, and a great excuse for family fun with live entertainment until midnight, markets (free to stall vendors), and festival fare provided by the local P&C. Weigh-in is strictly by 12:00 noon each day and a mobile weigh-in service is being offered so contestants who don’t want to leave their post, can weigh-in without having to move. The Baralaba Recreation & Fish Stocking group tops up fish supplies with about 60,000 fingerlings each year. 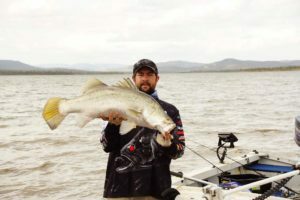 Usually held five days before the full moon in October, Biloela’s Callide Family Fishing Classic is all about the Barra. Pulling a 103 cm beauty has set the record and got everyone excited for what’s to come. It’s a ‘drag ‘em out’ tussle that’s on for young and old, to see who’ll crack the record at this year’s turn out. About 400 fishing fans join the throng, so all-weekend action is guaranteed. Saturday night the mood continues with live music, raffle draws and food, cold beers and drinks. 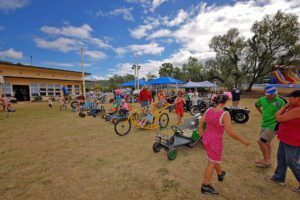 There’s free onsite camping for everyone and thanks to the Banana Shire Council, new amenities and recreational facilities make this venue top draw. The Callide Valley Stocking Association has re-stocked the weir, year in and year out since 1987. 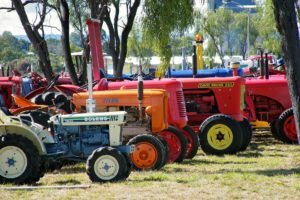 Upwards of 400 contenders turn up for the Moura Muddy Water Classic each year. Held at Apex Park on the beautiful Dawson River, hopeful contenders begin to pour in on Friday to get their nominations in. It’s an early night though with battle lines drawn at 6.00 am the next morning and first weigh-in starting at 7.00 am. The focus is all on family fun with juniors making up more than half of the number of seniors in the game. Saturday night entertainment includes special guest Dave Hodge, ‘Hodgie’ the Bare Foot Fisherman, who’s on the spot and willing to share his tips and tricks to help out budding fishos. Excellent camping facilities are available at Apex Park with powered and unpowered sites. Established back in 2003, the comp has released more than 400,000 barra and yellowbelly fingerlings (in the main) to restock river supplies. Glebe Weir is always great fishing and the Taroom Fishing Competition is a tradition most freshwater fishos refuse to pass up. Some 300 competitors turn out each year for the event. Nominations for all age groups are taken on the Friday night before kick-off at 6.00 am Saturday morning. Onsite catering is always handy for those keen to get their energy levels primed and to keep them going while there’s action on the water, and a bar to help relax when the hard yards are done. The comp concludes at 12.00 noon on Sunday. 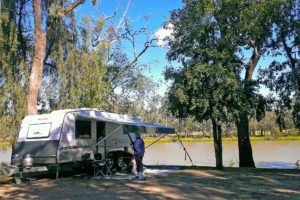 Excellent camping facilities are available at Glebe Weir with powered and unpowered sites available. From funds raised since 1987 the Glebe Weir Taroom and District Fishing and Restocking Club have restocked the dam with fingerlings to the tune of 72,600 silver perch, 353,000 golden perch and 36,350 sleepy cod. Do I need a permit and are there regulations I need to follow?